Receive a free copy of Hope of the Nuba our DVD featuring the work of American Dr. Tom Catena as he "takes care of the least of these" and risks his own life to treat the people of the Nuba Mountains. 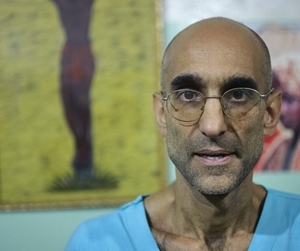 Watch this brief preview from Hope of the NUba, introducing the incredible story of Dr. Tom Catena and his efforts to save lives. 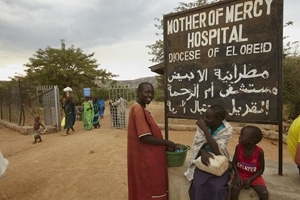 Dr. Tom is the only doctor at the Mother of Mercy Hospital in the disputed border region between North and South Sudan. He regularly cares for upwards of 400 patients a day! He’s working to save lives in a place where people are being bombed, displaced, starved and murdered because of their faith and the color of their skin. This true follower of Christ tends to the victims of war, and somehow manages to feed himself and his staff and patients in a region of the world where there’s precious little food. One man can make a difference by shining Christ’s light in one of the darkest of places. Pictures are powerful. However, Dr. Tom’s story of his faith and life’s work in his own words is even more powerful. Watch the trailer above and fill out the form on the right to see this powerful documentary. Allow yourself to be inspired by his courage and charity. In the DVD you’ll see how he’s working to save lives in a place where people are being bombed, displaced, starved and murdered because of their faith and the color of their skin. You’ll hear how this true follower of Christ tends to the victims of war, and how he manages to feed himself and his staff and patients in a region of the world where there’s precious little food. You’ll see how one man can make a difference by shining Christ’s light in one of the darkest of places. You’ll hear stories of great suffering among the people of the diocese of El Obeid. But you’ll also be uplifted by wonderful stories of mercy and selflessness. Please fill out the form below and receive a free copy of the Dr. Tom DVD. The Sudan Relief Fund is a 501(c)(3) not-for-profit organization.